As we approach this year's Academy Awards, a fair amount of controversy has come about. For the second year in a row, all twenty acting nominees were white, featuring not one person of ethnicity. Last year, the Best Picture nominees at least had Selma and The Grand Budapest Hotel, which were led by minority actors. But this year, not one of the Best Picture nominees has a lead that isn't white. The most upheld black film of the year, Straight Outta Compton, only got nominated for Best Screenplay, and its screenwriters are white. That is truly something else. But with this controversy, a lot of talk about racism and discrimination has come about. Usually, with this site, I don't get into politics. But this is an issue that deeply affects the film industry, and I feel it is something I need to touch upon. With the new X-Files series being brought to television, I thought I would review the two movies that made it to theaters. I watched seasons 1-5 before seeing The X-Files and I finished the series before The X-Files: I Want to Believe. 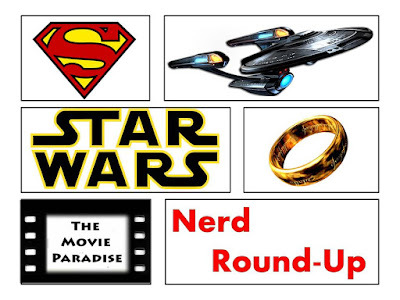 So while many other viewers will have a different perspective of these films, I am coming at it from the point of view of a fan of the series, and knowing the background and history of these characters. I acknowledge this, and will bring it up several times in my review, as I probably liked these films better than a person who had never seen a single episode of the TV show. This will be a spoiler-filled review for The X-Files: I Want to Believe, so if you haven’t seen the movie yet, don’t read this article. You can read our review for the first film, The X-Files, here. This will be a spoiler-filled review for The X-Files, so if you haven’t seen the movie yet, don’t read this article. The following exchange was recorded previously. Here is the transcript of writers Nate and Rob talking about the top five biggest Oscar snubs of the year. 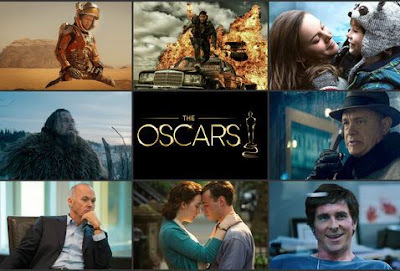 You can see the full list of Academy Award nominees here. Nate: This is Nate, and I'm here with our other writer, Rob. Nate: So right now we're going to be talking about what we think are the biggest snubs of the Oscar nominations. I was pretty happy with a lot of the nominations, I don't know about you. Nate: But, I felt there were a couple key things missing. So we sat down and made a top five list of things we thought were missing from the Oscar nominations that should have been in there. What we're going to try to do is, instead of just saying "Oh, this should have been in there! ", we'll talk about what should have been taken out based on the movies we have seen, and what should have been in there instead. With all the comic book movies coming out in 2016, Suicide Squad has kind of flown under my radar. I liked the Comic Con trailer a lot, but the film was never one of my most anticipated of the year. After all, we have so many comic book movies to look forward to. You can read my whole editorial on that here. But I was excited when I saw there was a new trailer for Suicide Squad. It really is DC's answer to Marvel's Guardians of the Galaxy, and it has a fantastic cast. Director David Ayer did a great job with Fury, but he also did Sabotage the same year, and that was less than desirable to say the least. So I've had high hopes for the film, but it has kind of slipped past me. But now with a second trailer, my interest in the film has been rekindled. The Hateful Eight is the latest film from director Quentin Tarantino, and is one that I have been moderately interested in. I have to be honest here: I haven't seen any of Tarantino's films. I know that it's blasphemy, and I know that I really need to see his movies. I'm working on it. 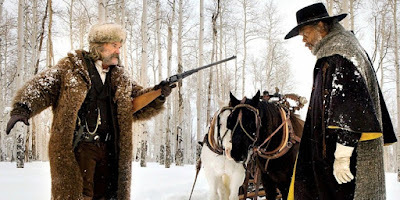 So The Hateful Eight is really my first true exposure to Tarantino. I was familiar with his style: wild, over-the-top, brutal violence and a lot of n-words. Now, after seeing this film, I am definitely wanting to check out more of Tarantino's films. Here, he crafts a well-written, who-dun-it type film that pits different character types from different backgrounds against each other in a very engaging social commentary. 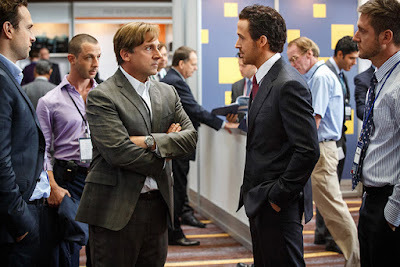 I haven't really been interested in The Big Short until recently. Sure, it has a stellar cast and I was very interested to see Anchorman and Step Brothers director Adam McKay take a different approach with film, however the project never caught my interest. Even when everyone was raving about it I was still unconvinced. It wasn't until I saw an interview with Steve Carell, and I saw how passionate he was about this project, that I finally became interested. So I went and bought a ticket to go see The Big Short, and I'm glad I did, because it is a marvelous film. The film follows several people who all separately saw the signs and predicted the economic crash of 2008, and began betting against the housing market in order to make a profit. But as they uncover more and more about the banks greed and corporate misdoings, the more they realize just how rotten and corrupt the system is. This is a sad one. In the same week that music icon David Bowie passed away, Harry Potter and Die Hard actor Alan Rickman has passed as well. He was born on February 21st, 1946 in London. 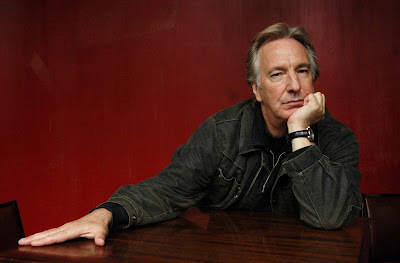 Rickman started out doing stage theater, even starring on Broadway. He then branched out into film, where his first film role was playing the villianous Hans Gruber in the 1980's famous action movie Die Hard. Many will argue this to be one of the best villain performances of all time. For me personally, Rickman will always be Hans Gruber, a cunning and slimy terrorist who is intelligent enough to talk his way out of any situation. He was a fantastic antagonist. He went on to star in other films such as Galaxy Quest, Alice in Wonderland and the Harry Potter franchise.